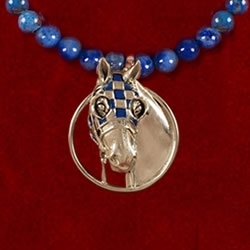 Secretariat Enameled Photo Pendant….Special Introductory Price for a Limited Time! 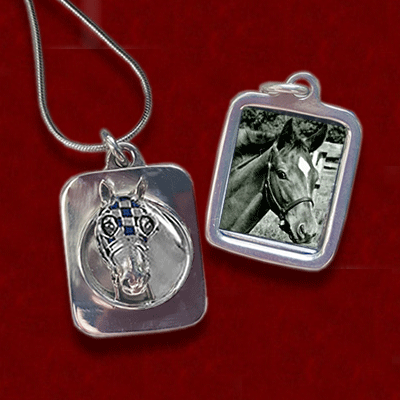 This sterling silver photo pendant is a treasure which holds a photo of Secretariat as a yearling on the back…. or can be changed to your own favorite photo. Measuring 7/8″ wide by 1 1/16″, it is available on a 16″, 18″, or 20″ sterling silver snake chain. Hand enameled blue blinkers enhance this piece. 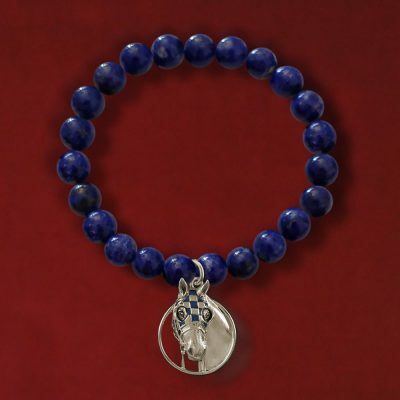 Arrives in a gift box with blue satin pouch and commemorative card. Offered at a special price. 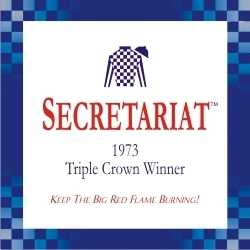 Order yours today and benefit the Secretariat Foundation! 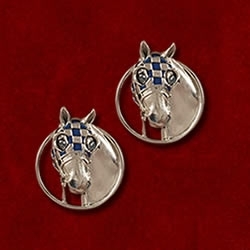 I had wanted a Secretariat piece from the collection for a long time but never felt I should treat myself. I finally did and am I ever thrilled! My Enameled Photo Pendant is SO much more beautiful than I expected. The detail, the craftsmanship, the weight of the pendant – all are simply superb. It looks exactly like my treasured TIME magazine cover of Big Red. 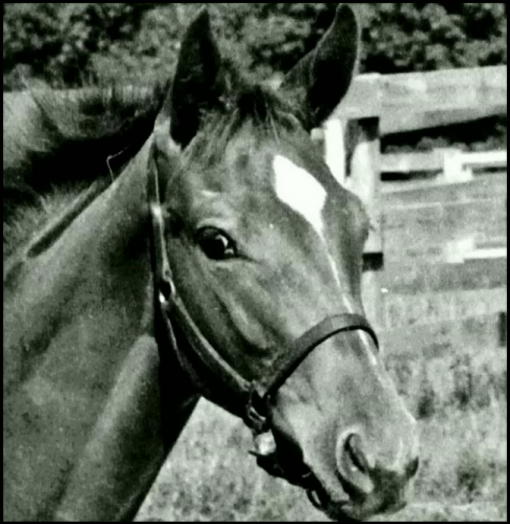 The photo pocket on the back is perfect for your favorite horse picture, too. Thank you, Jane, for your gorgeous pieces that are a joy to wear! 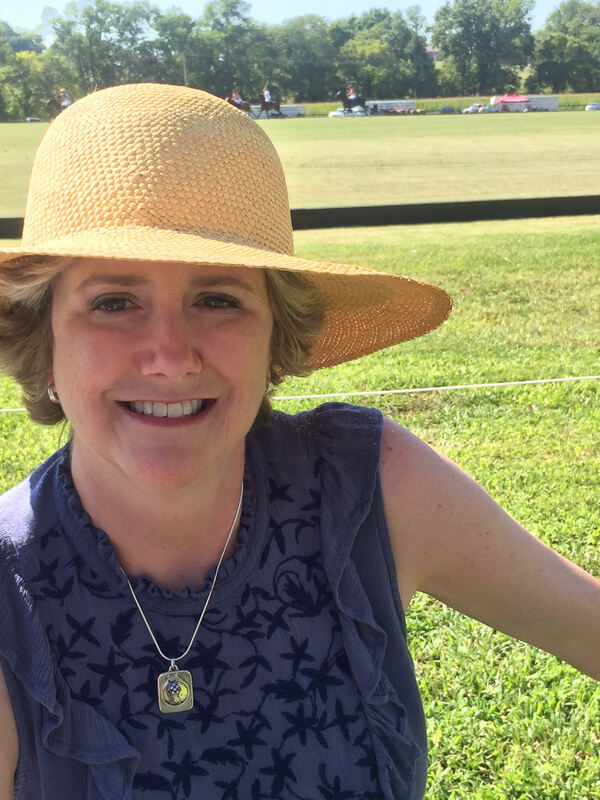 Hello Tracie…Thank you very much for your wonderful comments! 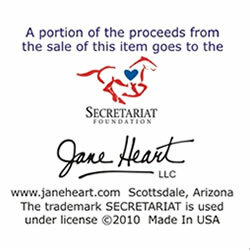 So glad you are enjoying this special piece that benefits the Secretariat Foundation!